Preparations continue as NASA’s commercial cargo provider, SpaceX, is getting ready to launch its 14th resupply mission to the International Space Station. Liftoff is scheduled for 4:30 p.m. EDT Monday, April 2. Weather forecasters with the U.S. Air Force’s 45th weather squadron at Patrick Air Force Base call for a 80 percent chance for favorable conditions for launch. The primary launch weather concerns are flight through precipitation and cumulus clouds with the showers. 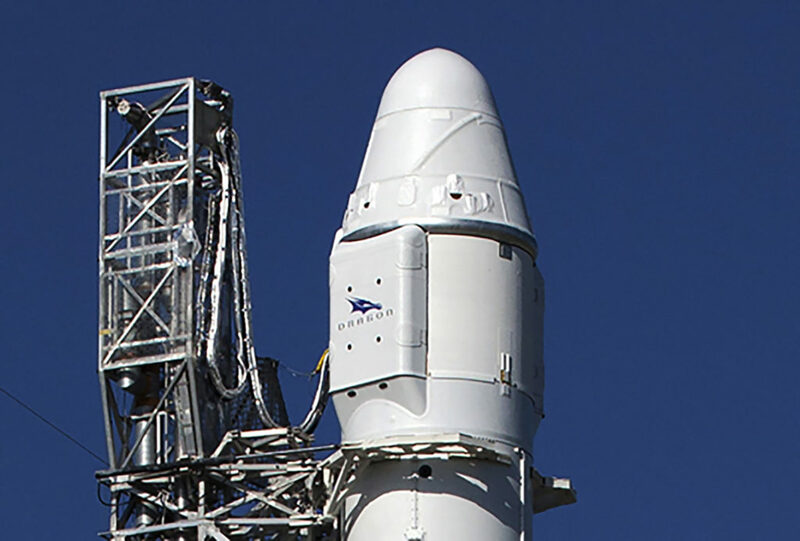 Packed with almost 5,800 pounds of research material, crew supplies and hardware, the SpaceX Dragon spacecraft will launch on a Falcon 9 rocket from Space Launch Complex 40 at Cape Canaveral Air Force Station in Florida. 4 p.m. – Prelaunch news conference with representatives from NASA’s International Space Station Program, SpaceX and the U.S. Air Force’s 45th Space Wing. 4 p.m. – Launch coverage begins for liftoff scheduled for 4:30 p.m.
6:30 p.m. – Post launch news conference at Kennedy with representatives from NASA’s International Space Station Program and SpaceX.